What kind of dog to choose for protection of a private house, apartment and protection of the family? Which breeds of dogs are best for protecting a private house, apartment or family? The article will tell you about the breeds of dogs created to protect the owners and protect their property, you will learn which breed to protect, depending on your living conditions, opportunities and personal preferences. и, после дрессировки, дать курс на защиту хозяина. But if you really want to get an excellent bodyguard, then in addition to choosing a breed, you need to give the dog active physical activity and, after training, give a course to protect the owner. Not all breeds are suitable for the role of protector. Thus, hunting breeds are completely unsuitable for protection. 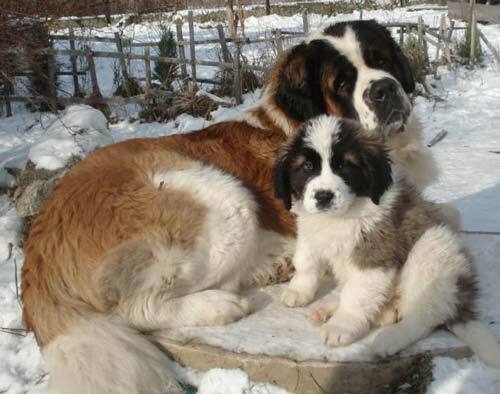 It is not worth taking on the role of a guard and the breeds created to save people (St. Bernards, Newfoundlands, etc.) - the size of these dogs is impressive, and they will definitely be able to protect the host in a critical situation, but this is not their original destiny. Also, fully functional guard functions can not be performed by "fighting breeds" (bull terriers, staffs, pits, etc. ), as they were taken out for fighting with animals, and to people they experience the warmest feelings, which is completely unacceptable for the watchdog. Although, the owner of the same staff has the option to take his pet to a course on protection, to teach the dog to protect if necessary. But the dog can not develop malice. First, consider those guard dogs that are best suited to the private sector. Then go to those whom it will be more convenient to keep in the apartment. The ability to protect and protect the owner entirely depends on the owner, so just choose the breed that suits you best. The best breeds of dogs for the protection of a private house on the street (in the courtyard). Which one to choose? First, we'll figure out which dogs will feel comfortable to protect a private house on the street, in the cold season. Breeds below can be taken and residents of apartments, if they are willing to put up with the dog's hair, which will be a lot during moulting.
. German Shepherd . If you need a dog to guard a house on the street, or an apartment, then the German Shepherd is an ideal choice. This breed is very easy to train, for a long time it remembers commands even after a long "downtime", is good for children and is an unsurpassed defender. The fury of the German shepherd will suffice for a gang of robbers, and caresses - for all members of the family. 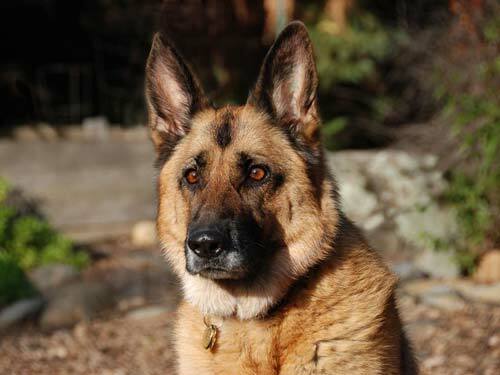 Taking a German shepherd, remember that this breed is incredibly active, and requires increased physical exertion. Any host who took the dog for protection and protection must take care of the physical development of the pet. By the way, "Germans" occupy the third place in the list of the most intelligent dogs. 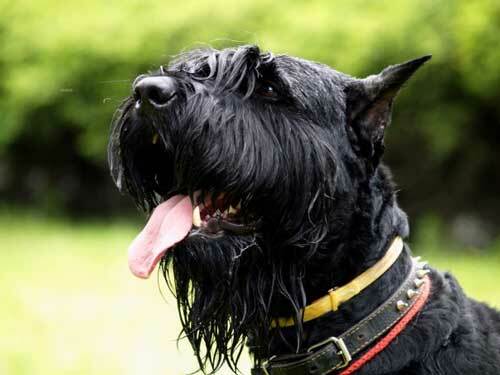 About the most intelligent breeds of dogs in the article on the link. - для него охрана частного дома излюбленное занятие. Riesenschnauzer - for him the protection of a private home is a favorite occupation. An unpretentious, faithful and incredibly brave, a risen schnauzer is a formidable guard who will not be afraid of a devil or a god when it comes to protecting the owner. 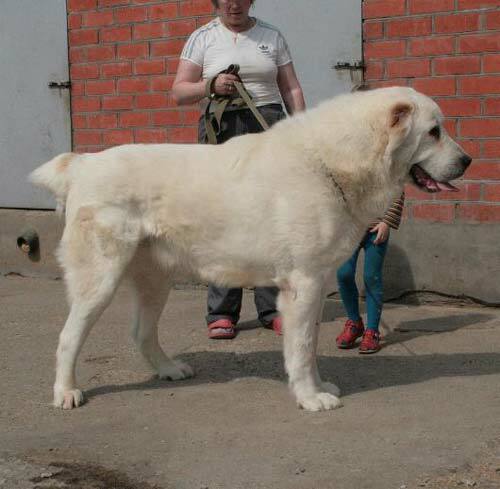 Riesans are good at training, soft in relation to children and are affectionate to the owners. This breed is very active, and will not miss the opportunity to frolic with the owner. Be sure to exhaust the dog physically, so that all the energy of the dog goes to a peaceful channel, and also helps to recruit and maintain muscle mass. Perhaps the only drawback of the Risenschnauzer may seem to be caring for the coat.
. Caucasian Shepherd Dog . The breed is one of the largest, so do not say what will happen to those who will come up to visit you with bad intentions. The strength of the Caucasian sheepdog will be enough for a pack of wolves in the face of ill-wishers, devotion - not to abandon the master in a difficult moment, and kindness, in order to endure any children's pranks and enjoy every master step. Being a very large breed, the Caucasian Shepherd does not require a long walk. Enough 1-1.5 hours of walking per day with the opportunity to frolic, to maintain the physical strength of the pet at the level. Read about the breeds of big dogs on the link to find out which one ranks first in the top ranking.
. The Moscow watchdog . A very popular breed of dogs for guards is the Moscow watchdog. 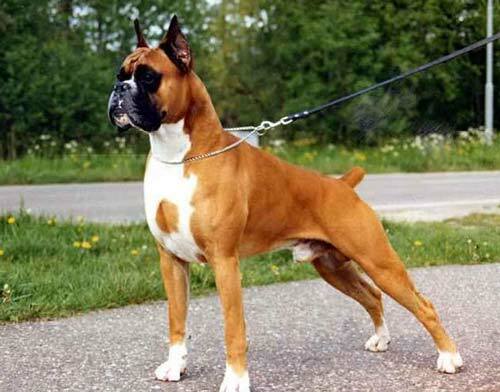 Strong, self-confident, fearless and devoted to the owner - these are the main qualities of the character of the breed. Suppose that in terms of training will have to work seriously to achieve good results, but, having trained the animal to the main teams, it will be possible to get a strong, obedient defender. 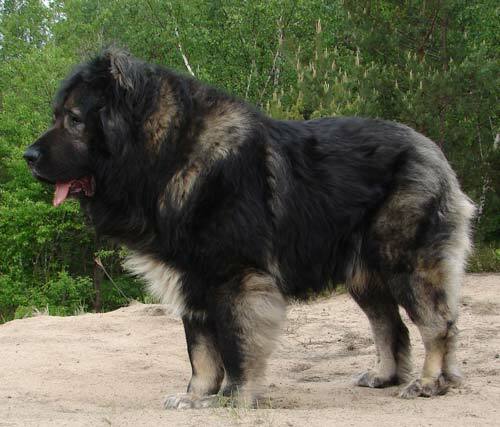 Like the Caucasian Shepherd, the Moscow watchdog does not need a lot of physical exertion, and will be satisfied with the opportunity to just run a good stick over the same stick in free space. - лучшие собаки охранники, правда, содержание алабая занятие не простое. Alabai - the best guard dogs, though, the content of Alabai occupation is not easy. It is necessary to recognize that this beast is incredibly powerful and ferocious, and therefore the master must be ready to seriously engage in education and training. This applies to all breeds, but especially the Caucasian Shepherd, the Moscow watchdog and Alabai. The species needs a strong leader, but with responsible education the owners will receive a reliable, even loving protector of the house, family and children, ready to go after him to hell in order to take revenge with even greater pressure. Particular attention should be paid to the vygulu, since the breed is powerful, and let it be better that excess physical energy goes through various active activities. The best breeds of dogs for guarding the apartment. Which one to choose? Which breeds of dogs are better suited for guarding an apartment than for a private house? In general, even the private courtyard can take the following breeds, although for the winter the animals will need to be brought into the house. - прирождённая собака охранник. Boxer - a born dog guard. The boxer has a particularly warm attitude to children, and that's why they prefer to take them for a family with young children. The breed will never offend the child, it will persist in tolerating his antics and quietly dozing while the baby explores the dog's body. 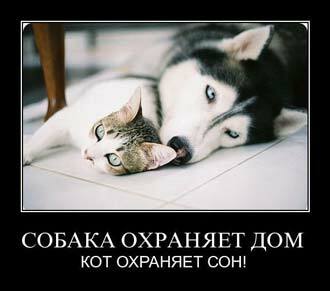 At the same time, one can not disregard the education of a dog and its training, since any dog ​​that lives in a family with children must be seriously trained. The boxer is a great defender, who is very capable of training and memorizes the teams for a long time. Being a very active breed, the boxer requires active physical exertion - only so extra energy will find a way out.
. Cane Corso . People often take the breed only because they are rumored to love kids. 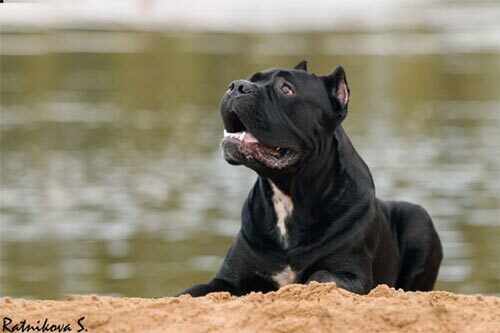 Cane Corso is really very nice to children, and will never offend your child, however, with proper education, any breed will be kind to children. Also, this does not mean that you need to forget about raising a dog. Corso, though a little stubborn, but incredibly smart and perceptive. The breed is extremely affectionate to its master, and, like the moon behind the earth, will follow it everywhere. Often, this affection is directed at one member of the family. However, to protect the dog will be all members of the family equally well, and after the course to protect the Cane Corso will not be equal.
. Rottweiler . Many owners, when they have already taken a rottweiler puppy, are worried that their puppy will remain small and will never grow again. So it turns out that Rottweilers for a long time "do not grow." More precisely, they grow, but somehow unobtrusively. Be sure that if you properly feed the dog, give the necessary vitamins and exercise, the dog will grow to the exact size that it is destined for it by nature. To raise a rottweiler puppy obedient, it will be necessary to seriously engage in education and training. 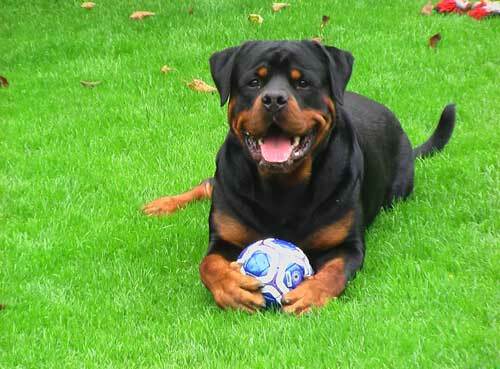 In training, the host will need to be more assertive, but, in general, it is not difficult to train a Rottweiler. From this breed are monstrously ferocious, fearless guards.
. Doberman . 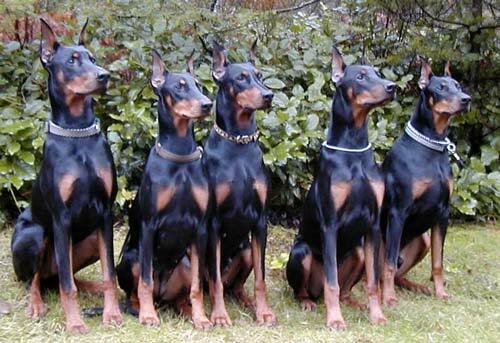 Dobermans - resolute and unyielding. To curb this horse the owner needs to seriously engage in training and education. If you are a beginner and decide to take this breed, you should work with the animal, in time solving the problems in the behavior (they, by the way, will necessarily be for any other breed). But, as a reward for hard work, the owner will receive an intrepid bodyguard with lightning reflexes, amazing force and, most importantly, controlled weapons subject to the common sense of the owner. In a family with young children, you can take any breed, if the parents will follow the child and the dog, as well as engage in the education of both. Somehow it is not customary to recommend a Doberman specifically for families with children, but if you are fascinated by the sight of the muscular, athletic body of this highly beautiful dog, then with a serious approach to upbringing, do not deny yourself the pleasure of buying a Doberman puppy. Now you know which breeds of dogs to protect a country house, cottage or apartment are the best. Remember that regardless of the chosen breed, you need to seriously engage in obedience, so that the dog always performs your commands. Paddock, from 1 hour a day, with increased physical exertion is extremely necessary for the development of the dog's ability to protect. Also, after the course of obedience (or after active self-training), the dog can be taken to the cynologist for a course of protection. He will look where to begin: work a little more on obedience, or it's better to teach security immediately. The best breed of dogs for children is a great article for those who choose an animal for a child. What kind of breed should I choose for a child? If you choose a dog for the child, be sure to decide if you want the dog to protect, or you just want to buy a friend for the baby? Also, we need to decide who will help the child to educate and train the beast. How much is the most expensive dog in the world , and why is it so expensive? What breeds cost a fortune? Why are they ready to pay for almost any price for them? The article will tell you about the breeds, the cost of which will cause bewilderment and slight stupor in the average person, however breeders always find the puppies of the owners, despite the cost of acquiring a small beast. What are the most popular breeds of dogs in Russia and near abroad? Some breeds are much more widespread than others. Why is that? The popularity of the breed depends either on its working qualities, or on the innate, unique traits of character. Well, or both together makes the breed so in demand. What are the most popular breeds? Click on the link above and find out!